Our experience is the key to your success! 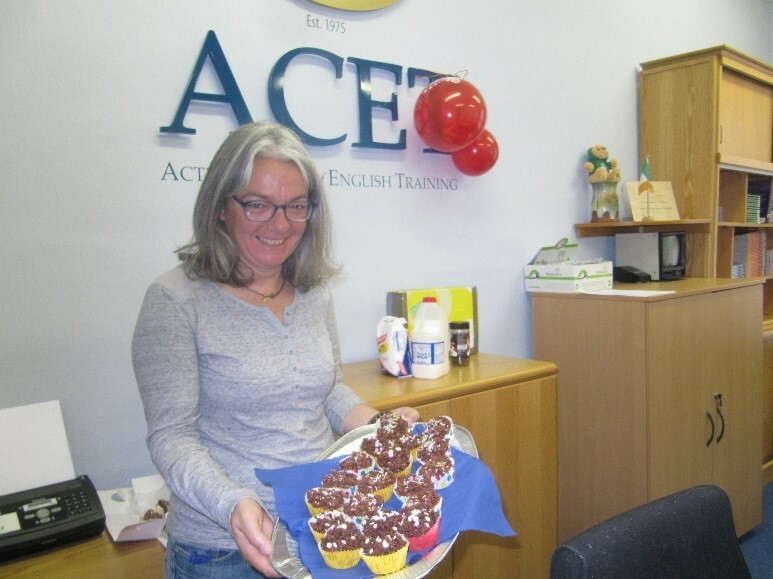 This year in celebration of 40 years of success, ACET has been giving back to the city we love. In addition to the many other fundraising events held throughout the year, a charity coffee morning was held at ACET this morning in support of Cork’s 96fm Radiothon. A huge selection of delicious cakes and buns were displayed at reception and students and staff donated generously to the worthy cause. All proceeds raised from this fundraising drive will support cancer services in Cork. 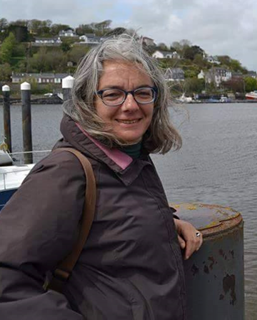 ACET student Maria Teresa Font Amigo, gives us an account of her recent visit to the coastal town of Cobh, just outside Cork city. “Last Saturday, I visited the seaside town of Cobh just outside Cork city by train. The train left from Cork at twelve o’clock and arrived to Cobh at half past twelve. In Cobh, I saw the station, the Cathedral, the landscape and also I went to Titanic Experience museum and Cobh Museum. In Cobh there are museums dedicated to the Titanic and Lusitania. We saw an exhibition which was very interesting about Lusitania – A Day In May. At the moment the theme is very much involved in Lusitania as it the anniversary of the date it sank many years ago off Cobh during the 1st World War. The May Bank Holiday weekend has arrived. This weekend traditionally signals the beginning of the summer season. There are many events scheduled throughout the city and county. We suggest to visit two picturesque coastal towns this weekend that are located a short distance out of the city. 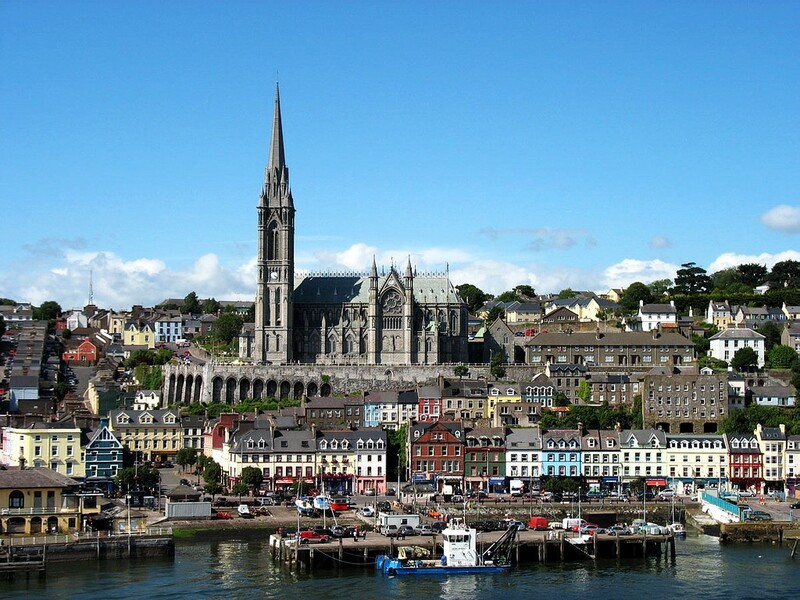 Visiting Cobh is a memorable experience for all visitors. Trains run to Cobh from Cork city every half hour. 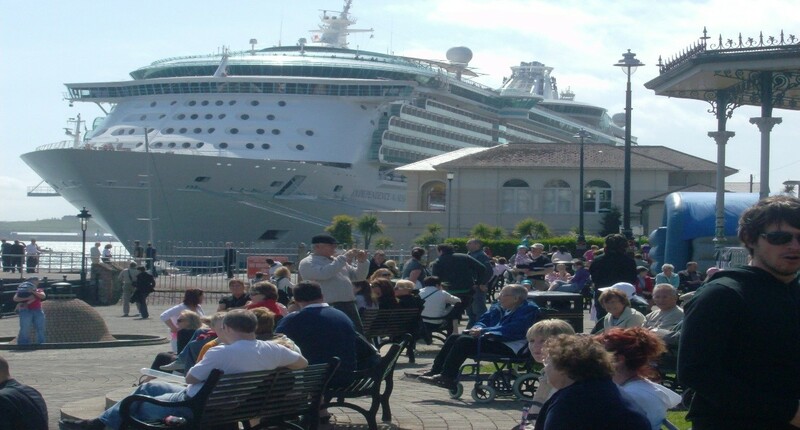 Cobh welcomes some of the world’s largest cruise liners to its docks each summer. This weekend ‘Le Boreal’ will be docking in the town on Sunday. Cruise liners usually attract hundreds of interested locals, and The Cobh Brass band usually entertain visitors along the same docks where the infamous ‘Titanic’ once docked many years ago. We definitely recommend that you visit the Cobh Heritage Centre to witness ‘The Titanic Experience’. This exhibition has many artifacts of relevance to Titanic and details the background of local passengers. Don’t forget to produce your ACET card on entry to avail of reduced admission prices. Another place of interest is St. Colman’s Cathedral. This impressive neo – Gothic style cathedral will be visible overlooking the town. This church has the largest bell carillon in Ireland and we promise that the steep climb up the hill will be worth it. 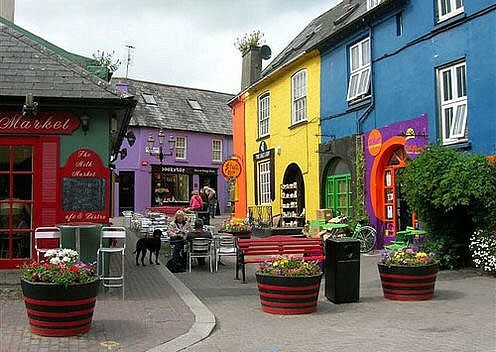 Kinsale is a fabulous town to visit at any time of the year. The Kinsale 7’s Festival takes place this weekend. This festival sees teams from all over the country travel to participate in the tournament. It attracts thousands of rugby enthusiasts to the town along with others who wish to socialise in the towns many pubs and restaurants. The town is often referred to as the ‘Gourmet Capital of Ireland!’ You won’t be disappointed with the range of food on offer. Aside from the Rugby events, there are many other ways to enjoy Kinsale. One can take in the scenery on boat cruise around the harbour, or visit the breath taking Charlesfort with panoramic views the harbour. Charlesfort is a fortified structure located a short distance outside of the town centre. 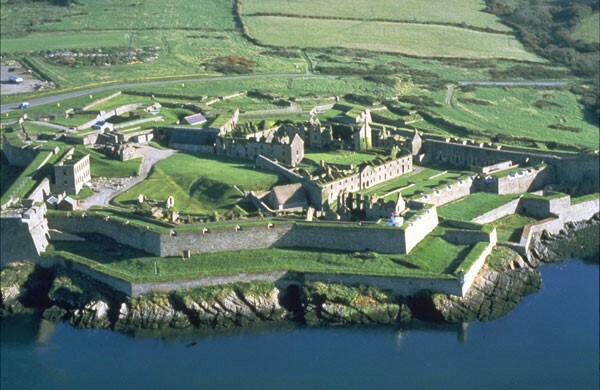 It is one of Ireland’s best preserved historical sites. When visiting, show your ACET student card for discounted admission! St. Patrick’s Day in Cork!